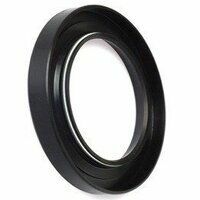 View our range of imperial nitrile covered rotary shaft oil seals. Oil seals are made in order to prevent against the entry of dirt, dust, water or any other foreign matter, while also protecting against the escape of greases and lubricants. We offer a range of different sizes and two different types – R21 and R23. You can search through our offering by inside diameter, outside diameter or width to find the kind you need. Whichever that is, the nitrile covering and single lip will ensure a good fit.